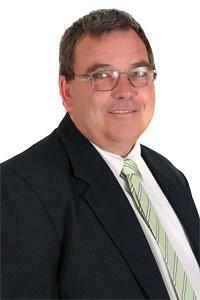 Ian, is one of our best Real Estate Agents for Pinjarra, Ravenswood, Dwellingup, Waroona and surrounding areas. Looking for a challenge after a long career in sales, Ian decided to try his luck in real estate in 2012. He not only loves dealing with clients but enjoys that every day is a new challenge. He delights in helping people buy and sell their homes as well as helping them settle in in any way he can. Ian has a keen interest in the individual client’s ideas, wants and goals, and believes that every sale and purchase is different. Having lived in the area since 1986 Ian and his family enjoy the great weather and peaceful atmosphere. Ian counts the experience he has gained in his first year in real estate as his greatest achievement which has proved to be a great and very successful year. He enjoys the happy go lucky attitude of the Green House Realty team and the fact that the whole team works for the same cause. Very happy wih the service and kindness given by Ian. We welcome the opportunity to thank you for providing an excellent professional service resulting in the sale of our property. We are extremely pleased with the way you and your team have looked after us. Your communications, advice and recommendations kept us well informed at all times. We would definitely highly recommend yourself and Green House Realty to anyone thinking of buying or selling property. Ian is a very helpful an charismatic person and I would have no hesitation in recommending him and his colleagues for any future sales or purchases. Ian was a pleasure to deal with. We were very pleased with the sale price in such a dead market. Good on you Green House Realty. Ian deserves a pat on the back! We are very happy with all that Ian has done for us and will look to re list in future. Green House Realty really was undeterred by very difficult conditions. Ian and Andrew provided very good srvice at all times, especially consdiering how difficult it was to contact myself when I was overseas and treking through central Australia. To top it off the business gave us some wine to celebrate the sale! Good old fashioned service, honesty and loyalty. We love you Ian, you're the best! Very happy with the great service in all aspects of the whole sale process. First class. Ian was easy to deal with, returned my calls and followed up on my questions. Thanks Ian for making the sale of our property in Boddington so easy. Ian is reliable with good old fashioned service. We recommned him to lots of people. We appreciate the care and patience shown by our agent and the care and courtesy and consideration shown to us. We have no hesitation recommending Ian. With thanks. We were very happy with achieving such a quick and hassle free sale of our property in Pinjarra. From our very first phone contact with Ian we were confident and relaxed knowing Ian felt posotive about being able to find a buyer for us. HIs recommnedation for sale price was spot on as we were able to sell for our asking price with no need for a negotiation. Ian provided excellent service right from the advertising stage to sorting final arrangements for us. We would feel happy to recomment him to other prospective sellers. Thank you Ian! Thank you for selling my property, you were a jet! Ian was always happy to explain the whole process of selling my home and guide me through it. I couldn't be happier, I would recommend him to anyone wanting to buy and/ or sell your home. Andrew and Ian were polite and very helpful. We couldn't thank them enough for all they have done for us. I thank Ian for his assistance with reference to dealing with the tennant vacating the property. Also all the work Ian did to organise cleaning and maintenance prior to settlement. Ian did a lot more then I expected. Thanks a million. Home opens were good and often and the feedback from viewers was passed on. Our only hold ups were caused by other people beyond Green House Realty's control. Very easy and happy with the work you completed.